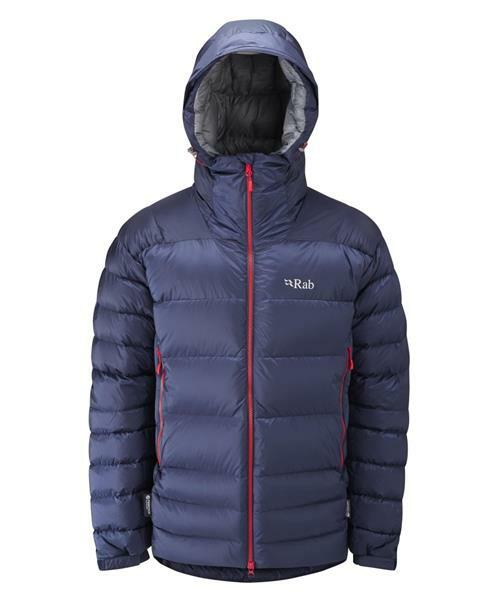 The Positron Jacket is a technical, box-wall bodied down jacket, featuring a water-resistant outer fabric designed for mountain and expedition use up to 6000m. Replacing the Neutrino Plus jacket in our Autumn/Winter ’15 range, the Positron is designed with box-wall construction on the torso, back and hood, and a stitch-through construction on the sides and arms to increase mobility and comfort. With 275g/10oz (Size L) of the highest quality 800FP European Goose Down, the Positron offers levels of warmth suitable for up to 6000m. Key technical features include a large helmet-compatible hood, YKK® VISLON® AquaGuard® waterproof zips throughout, and a stuff sack. The Positron is designed with a regular fit to accommodate multiple layers underneath.